When I was wearing my hair straight my process was very simple and very low maintenance. It was just a case of wash, blow dry, straighten, repeat. After seeing a lot of naturals on Instagram talking about wash day and how stressful wash day is, I was a little worried of what was in store for me after deciding to stop using heat. But actually life has become so much easier! I wash and deep condition my hair once a week, but on a daily basis it’s just a case of wash and go-ing or spraying my curls with a bit of water or a replenishing treatment to get the bounce back. I think the big thing is to get your routine down, and finding the products that suit you! I have a video coming out soon where I talk about my wash and go process and my curly hair story - I have found my perfect routine which limits frizz, keeps my hair looking healthy and hydrated and most importantly, takes no time at all! All I do is smother my locks in the shower with the Mixed Chicks Deep Conditioner and go about my shower business. Once I’ve finished my shower business I’ll brush my hair through with my Tangle Teezer and rinse the product out. I’ll then wrap a towel around my head (without rubbing) and get dressed. Once I’m dressed the Restorative Cream goes in (a 2 pence piece sized amount) and then the Shea Moisture Conditioner gets raked through as my leave in… and voila I’m ready to go and I’ve only spent 5 minutes doing my hair! I don’t blow dry my hair, I just let it air dry which takes a couple of hours - this might not be for everyone but a little wet hair never hurt anybody (the whole wet hair causing colds is a total myth!). 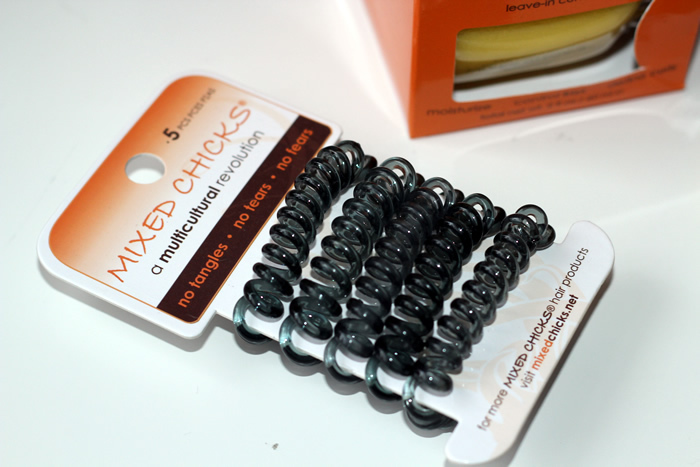 Recently, I was contacted by Mixed Chicks UK to review some of their products. 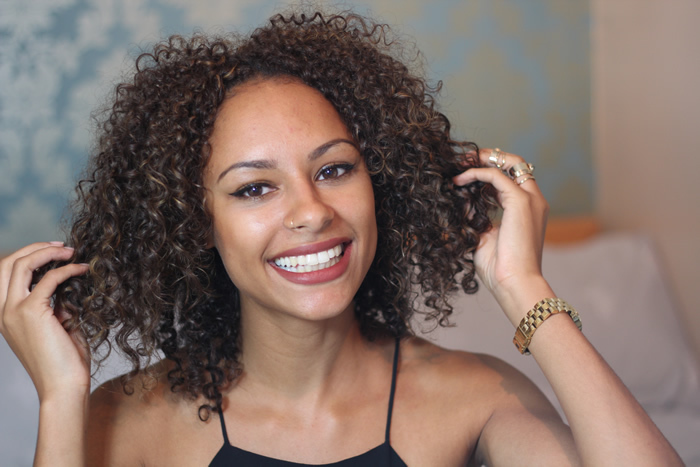 As you can see I already use the Mixed Chicks Deep Conditioner on a daily basis, but my sister and I have been using their products for a while now and we are huge fans! 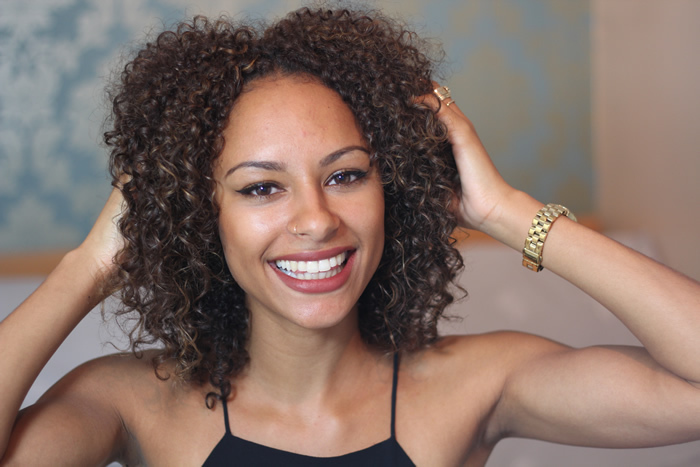 I want to help start the curly revolution here in the UK so I have decided to giveaway the products they sent over to me as I already have them and have the winner talk about their experience. 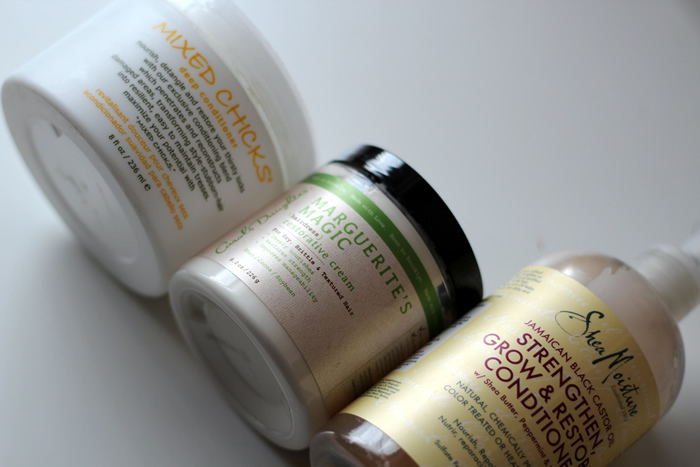 Mixed Chicks products are for all types of curls, whether you have tight coils like mine, loose curls or wavy hair. The products eliminate frizz, nourish your locks and have been a vital part of my daily routine since become heat free! If you would like to be in for a chance to win the above Trial and Travel Pack and a pack of Spring Bands then all I'd like you to do is get social with me! Once you have done all that leave a comment below with your social media handles and I'll pick a winner on 7th July 2015!